Mark Leiren-Young had his life changed when he moved to Williams Lake, BC in 1985 for a job as a newspaper reporter. 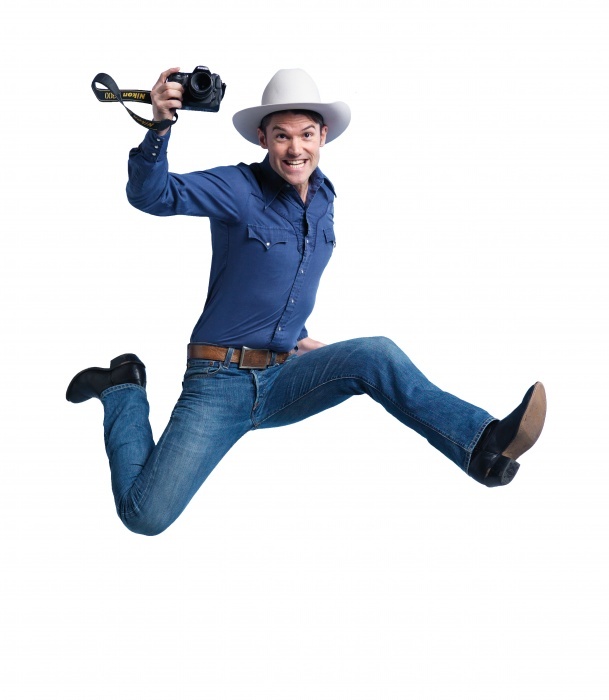 Leiren-Young’s award-winning 2009 book Never Shoot a Stampede Queen has now been adapted to the stage, so his adventures from that time are flooding back again. Zachary Stevenson plays Mark Leiren-Young in Never Shoot a Stampede Queen (photo: David Cooper). Leiren-Young, now an established screenwriter, journalist, filmmaker, and playwright, got his career started as a cub reporter in Williams Lake and was immediately thrown into a small town beat that included its share of crime and controversy. The one-man play, starring Zachary Stevenson in Vancouver and Duncan and Ryan Biel in Kamloops and directed by Vancouver theatre mainstay TJ Dawe, combines scenes from the book with new material that Leiren-Young was able to collect after the book was published. Another realization for the crew has been that the story still resonates with so many people in the Williams Lake area. Now that Leiren-Young is detailing the lives of small town folk onstage, the audience has included some familiar faces, especially in Kamloops where it’s just a short trip down the highway from Williams Lake. Stevenson, who stars as Leiren-Young in the Vancouver and Duncan runs and spent a lot of time mirroring the author’s mannerisms while learning the story, says working with Dawe and Leiren-Young was a thrill for him. “I’ve been a fan of TJ since I was a student at UVic. And I have such respect for Mark as a writer. It really is a dream team and great mentorship experience for me,” he says. Watching Stevenson and Biel bring his experiences to life has been “kind of mind-boggling” for Leiren-Young. One particular scene where he has a panic attack due to the stress of being a cub reporter in a extremely quirky and sometimes dangerous small town became all too real for him while watching the play. Despite still having many friends in the area, and living close to Williams Lake for about six months after the book was written, Leiren-Young says he’s not exactly aching for another long-term residency in the town that has given him so many great stories.